Things have been so busy lately at the Shawna Shenette Photography studio in Millbury that I haven’t had much time to blog. 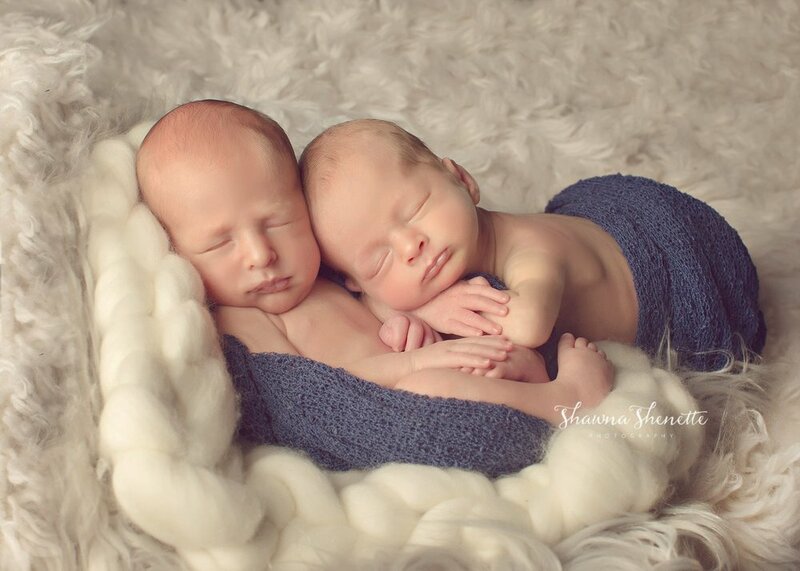 So here I am, catching up on showing you a really special newborn photo session - TWIN BOYS!!! A normal day for me, is photographing a newborn in the morning, and if scheduling allows, I will meet with another client to review their beautiful photos in the afternoon. It can be a challenge some days, because I never know exactly how long a newborn session is going to last, making my schedule pretty unpredictable. I have to say, though, even though this newborn twin session lasted over 3 hours, I was so proud of myself for being able to make such smooth transitions between all of the individual poses and twin poses. And then we were able to do some rock star parent poses as well! Handling twins is definitely not an easy task, so it's incredibly amazing when they both sleep for the bulk of the session. It's also amazing when the parents are so eager to help me and my assistant keep them snuggled up and fed so that the photo session goes as smoothly as possible. I have to say that this was one of my most rewarding sessions so far of 2017 as a newborn photographer. Gorgeous parents + sleepy, well-fed twin baby boys = an amazing newborn photo session and fabulous images. See for yourself! 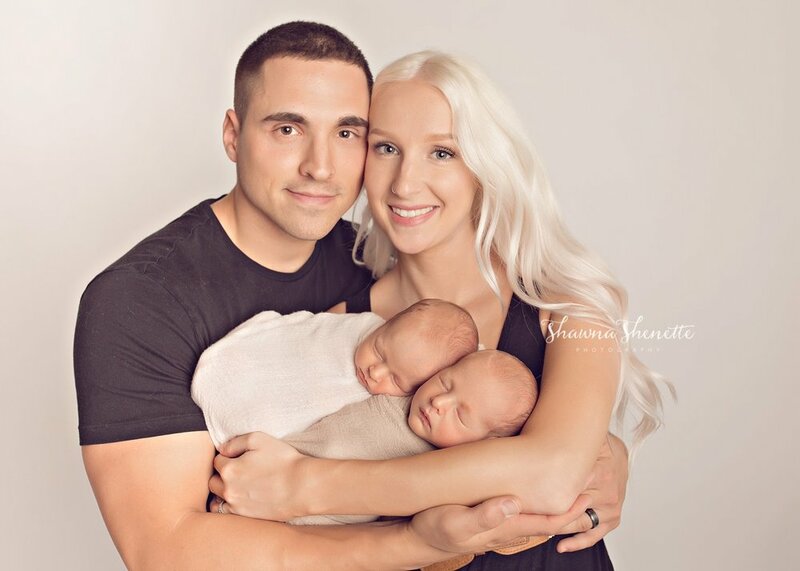 Shawna Shenette is a top newborn photographer that provides studio, and on location newborn and lifestyle photography. She customizes the session to your unique specifications and provides the care and safety that each newborn needs during this beautiful first two weeks of life. With your session, you gain access to all of her props, backdrops, hats, headbands, crates, baskets, blankets and more. 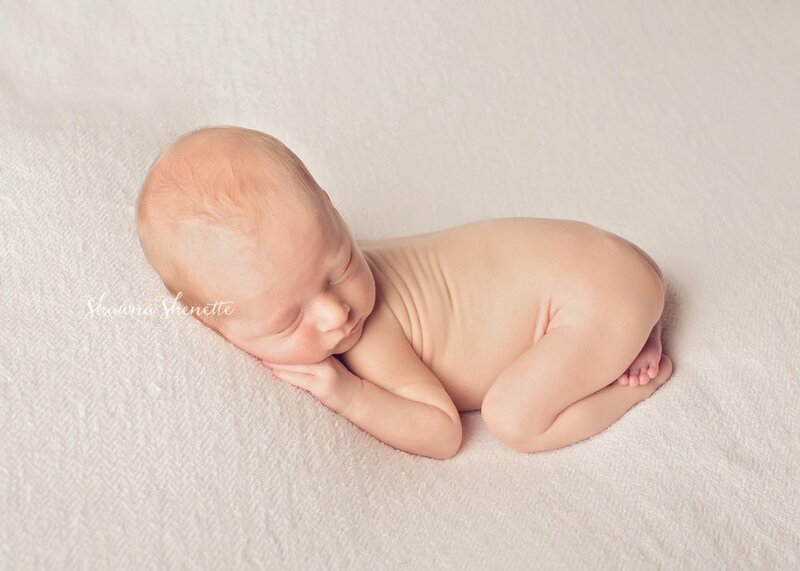 Shawna Shenette is a newborn photographer that provides a gorgeous and comfortable studio space for your newborn photo session. Shawna has her props, backdrops, hats, headbands, crates, baskets, blankets and more ready for your personalized newborn photo session. Shawna customizes the session to your unique specifications and provides the care and safety that each newborn needs during this beautiful first two weeks of life. Shawna takes her time posing the newborns with gentle hands and patience, as well as an utmost commitment to safety.